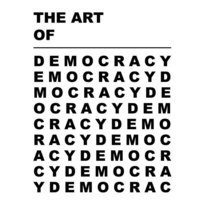 The K-State Center for Engagement and Community Development and the Mariana Kistler Beach Museum will be holding their “Art of Democracy” Symposium all day Thursday. This event is part of the Center for Engagement and Community Development’s annual engagement symposiums. The event is held every year on campus to highlight work being done at the university that deals with significant issues facing communities throughout the country. Director David Procter says this year they wanted an event that shows off how people celebrate democracy. 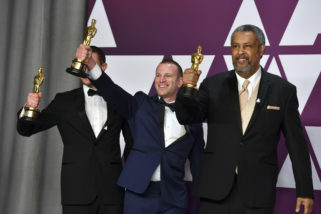 One of the keynote speakers for the evening will be “BlacKkKlansman” co-writer and University of Kansas Professor Kevin Willmott. He will be using the movie to talk about how the country needs to remember what happened in terms of racism in the US in the past, as to not repeat it in the future. Museum Curator Aileen Wang says the movie and talk will parallel the rise of hatred and racism and how that leads to violence, such as the protests in Charlottesville, Virginia back in 2017 that led to the death of Heather Heyer. Procter says they will also have a discussion on what fake news is, a presentation on how better to promote civility, and a presentation on the importance of art during the Columbian Civil War. “I think it’s just such an exciting day with such a variety of events varying from performances to research being done,” said Procter. The symposium will being at 9 a.m. at the K-State student union. Willmott’s speech will begin at 5:30 p.m. with a screening of “BlacKkKlansman” beforehand at 3 p.m in the Bluemont Room. A full list of the day’s events can be found on the events page on the center’s website at k-state.edu/cecd/events/symposium/.